Dealing with sexism while travelling is something that all women may be forced to experience at one time or another. Recognising sexism, taking notes of the incidents of discrimination and deciding on a course of action are all important steps for women dealing with sexism while travelling. 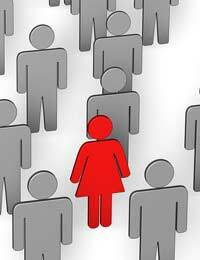 Sexism, or discrimination based on gender, is still quite common around the world. However this type of discrimination can take many forms. Inappropriate comments, unwanted touches, unwanted sexual advances, differing levels of attention or service and segregation based on gender are all possible forms that sexism can take. However, this is not to say that all of these forms are automatically sexism. Some of these situations may, unfortunately, be based on another type of discrimination while some may in fact be due to strict cultural, religious or even legal requirements. For example, while some women may see having to enter a place of worship via a separate door for females to be sexist, this tradition may be quite common and accepted for a particular religion. Similarly, some women may feel that having to cover themselves with a veil and/or long clothing is sexist but in some countries this has been the law based on religious doctrine. While sexism is therefore subjective, if a country has laws against discrimination based on gender (and no laws requiring certain things of women) then there is a good basis for a complaint based on these grounds. When sexism is encountered by female travellers the details of the event should be noted. The more details a woman can remember the stronger her case against sexism will be. Noting what happened, when it happened, where it happened, who was involved, who else witnessed it and the ultimate resolution of the event are all important pieces of information that might be required should an investigation into sexism take place. Women may also want to note their personal reactions to the event, as well as how it impacted the rest of their travels and/or everyday life, so that potential investigators can see the longer term effects that a sexist incident had for that woman. Deciding on a course of action against sexist incidents can be hard for women who are still travelling. For many women, confronting sexism as it occurs could endanger their own safety. When this is the case women should remember that walking away is not an agreement with sexism or in any way condoning it. Instead, it is a way to ensure their own safety and security which will allow them to fight against such discrimination in the future. Reporting a sexist individual or company, filing a formal complaint, publicising sexist treatment and even taking a discrimination case to court are all options for women who experience sexism while travelling. Dealing with sexism while travelling is never enjoyable. But by recognising sexism while travelling, noting incidents of discrimination and deciding on a course of action, female travellers can deal with sexism efficiently and without endangering their own safety or security as they travel.